Published: Oct. 13, 2016 at 07:15 p.m. 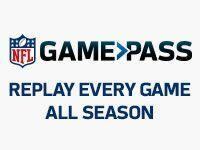 Updated: Oct. 14, 2016 at 12:09 p.m.
Exploiting matchups is key in fantasy and can help us unearth sleepers, value plays and also alert us to when we should fade or lower expectations for more establish studs. There are a number of statistics and data-based tools to helps us decipher which matchups to exploit and which to avoid, and one of which is the NFL's Next Gen Stats package -- not just the fancy speed numbers you see on television. Here we'll look where cornerbacks and wide receivers line up, which defenses are particularly susceptible to which player packages and so much more in order to find value with our fantasy players. As the season goes along we'll have even more data to use and a better understanding of the Next Gen Stats. Here are the top matchups that could bring value in Week 6. Since usurping Justin Forsett as the Ravens starting running back heading into Week 4, Terrance West has totaled 208 rushing yards on 32 carries. His 6.5 yards per carry is the second-highest over the last two weeks, trailing only Ezekiel Elliott's 7.16 average. West was cooking up a great game against the weak Washington run defense, but Marc Trestman inexplicably went away from him in the second half with only two carries after their first drive in the third quarter. Almost certainly not a coincidence, Trestman lost his job the next day. Expect the Ravens to come out and ride West in Week 6 against the Giants. Rookie Kenneth Dixon did not look healthy or ready for NFL action, totaling -1 rushing yards on three carries. West is the starting back for this team and he's completely revived his career in Baltimore. Those who do not believe that players can change just can't accept that West is a different player than the guy who flamed out quickly in Cleveland and Tennessee. Apparently they aren't watching the games, but even the Next Gen Stats show that one of his biggest issues has turned into a strength of his game. West took a ton of deserved heat in his first two seasons for not being a decisive or mature runner who often tried too hard to hit a big play instead of properly reading the holes that the line developed and simply executing the plays. As the chart to the below shows, Terrance West's distance traveled per rush yard gained has gone down in each week of the season thus far. As we discussed in last week's column, we're noticing a correlation between running backs with lower distance/rush yard rates and power downhill runners. This data backs up what West showed in the preseason and carried over into his two starts: West is a reborn player with a more mature and decisive power running style. Facing the Giants this week, West should be able to sustain his momentum. The Giants started off the year playing strong run defense, but the unit took a step back the last two weeks. New York allowed a 10.3 yards per carry out of the single back to Jerick McKinnon, a 6.4 yards per carry to Eddie Lacy out of the I-formation and a combined 10.95 yards per carry to the two backs over the last two weeks. Terrance West on the other hand averages 4.2 out of the shotgun, 4.7 out of singleback and 5.4 yards per carry out of the I-formation. Week 5 marked the return of Tom Brady, and in addition, the Patriots used a two-tight end base offense. Their most commonly used offensive grouping on Sunday was 12 personnel (1 RB, 2 TE, 2 WR), featuring it on 30 plays. Rob Gronkowski and Martellus Bennett look like they will be the focal points of the passing attack going forward. In Week 5, 48 percent of Gronkowski's receiving yardage came when he was either lined up out wide or in the slot. Using Gronkowski in this fashion puts him in position to trample through the opposing defense and earn yards after the catch. Almost half of the All-Pro tight ends Week 5 yardage came on runs after the catch. We saw on Sunday that defensive backs simply cannot handle him in the open field, but that's nothing new. You can see that Bennett was used far more as the short area option over Gronkowski, especially since several of his receptions came in the red zone. Tom Brady averaged 11.9 intended air yards on passes to Gronk in Week 5 but only 7.5 on targets to Bennett. Brady's average for the game was 9.3 intended air yards. For this game Gronk was the downfield threat who wreaked havoc in space, while Bennett served as a more traditional short-area tight end in close quarters. There might not be a more difficult and diverse position group to matchup with than the Patriots tight end set right now. Even though this was the plan for Week 5, Bill Belichick, Josh McDaniels and company could easily alter the game plan week-to-week. The Patriots and their new and improved two-tight end duo will get a stiff test against the Bengals in Week 6. Cincinnati allowed the eighth fewest yards to the position in the first five weeks of the season. Jason Witten and Dion Sims combined for just 52 receiving yards the last two weeks since Vontazae Burfict returned from suspension. However, as the slowing Witten and Jesse James in Week 2 might be the two best tight ends they've faced so far, the Bengals might not be prepared to stop this duo. The unstoppable force will meet the immovable object when the Cowboys travel to Green Bay to face the Packers. Ezekiel Elliott has been absolutely wrecking shop this season, but he's gotten better as the weeks have gone by. His yards per carry has gone up in every game and he averages 7.16 over his last two games. Elliott topped 150 total yards in all three of his last three contests. The Packers, however, are one of the best run defenses in the NFL, allowing a league low 170 yards to running backs at 2.18 yards per carry. The Packers will be Elliott's toughest test to date, but the same can be said for their run defense and a date with the fourth overall pick. In Week 5, Elliott busted off a 60-yard touchdown where he reached a speed of 21.50 MPH. That time was the fastest rushing touchdown speed of the week and the second-fastest for the entire season so far. Elliott also has been immune to extra defensive attention. The rookie back has faced eight-plus defenders in the box on 28.4 percent of his league-high 109 carries thus far. However, he's maintained a healthy 4.4 yards per carry and scored two touchdowns against those fronts. Elliott has run out of the singleback formation on 70 of his carries, more than any other formation, and has averaged 5.8 yards per carry. The best running back the Packers have faced this season is Adrian Peterson, who while he didn't look like himself this year, still carries plenty of clout. Green Bay's defense held him to -1.7 yards per carry out of the singleback. Elliott has been so impressive it's hard to not give him the edge in this spot, but without question, this is the top matchup of the week. Marvin Jones surprisingly leads the NFL in receiving yardage through the first five weeks of the season. However, he's slowed down (for his new standards) over the last two weeks with just 101 yards. Jones gets another chance this week in his quest to further prove he's a true No. 1 receiver. The Rams top corner Trumaine Johnson currently plays on the franchise tag courtesy of the Los Angeles Rams. He's an unknown, but he's been a difference-maker for the new Los Angeles team this season. Through five weeks, quarterbacks have thrown Johnson's way on 35 of his 191 plays in coverage, good for an 18.3 target rate, which is below the NFL average. Johnson held up well to the test: He's let up 22 catches for 242 yards but quarterbacks have just an 80.9 pass rating against him. However, Johnson is banged up and was ruled out for this game, and potentially longer. Due to his lack of availability, Jones is in a prime position to go off. Johnson does not track top receivers across the formation, as he's played 80 percent of his snaps at left cornerback, so without him playing we are unlikely to see another corner do that. Marvin Jones, on the other hand, moves between both outside wide receiver spots, taking 52 percent of his plays at left wideout and 41 percent at right. However, he's been more productive lining up at right wide receiver. In Week 2 when Jones registered a season-high 11 targets, he primarily got open on the right side of the field. That's in line with his season-long trend. Jones has 52 percent of his catches and 66 percent of his yards when lined up at right wide receiver. In his big Week 3 game when he went for over 200 yards Jones accumulated all of his production at right wide receiver. Jones and Johnson would have likely squared off on the vast majority of their plays on Sunday, but Johnson will not play and may miss an extended stretch. If Jones is to get back to the pace he set in the first three weeks of the NFL season, this will be the best chance to do so. None of the other Rams corners plays with the tenacity at the catch point that Johnson does. The Seahawks are coming off their bye week to square off with a red-hot Falcons team riding a four-game winning streak. Atlanta's offense is the lynchpin for their newfound success, but their defense has a number of areas the opposition can pick on. Jimmy Graham and Christine Michael have favorable matchups against the Atlanta linebackers, but it is Doug Baldwin who might be in the best blowup spot. Baldwin is one of the top slot receivers in the NFL, taking 82 percent of his snaps from the interior (fourth-highest of receivers who've played more than 100 snaps). Outside of the touchdown production, he hasn't dropped off after a stellar 2015 season accumulating 251 yards and two touchdowns from the slot alone. The only two games where Baldwin did not score and cross 90 yards, he got slightly nicked up during the contest. Fully healthy coming off a bye, Baldwin faces a cakewalk matchup against the Falcons secondary. Atlanta's star corner Desmond Trufant mostly sticks to left cornerback and rarely tracks top receivers into the slot. As such, the Falcons have major issues handling slot receivers. The Falcons allowed 683 yards and four touchdowns to slot receivers through the first five weeks. Atlanta's defense gives up the third-highest catch rate to slot receivers with 72.3 percent, which is almost 10 percent higher than the NFL average of 63.3 percent. Baldwin should get open at will on Sunday against Brian Poole, who has chipped in at slot corner for Atlanta. The only thing that could keep Baldwin from, at worst, a strong outing is a rainy forecast in Seattle. However, this matchup puts the veteran receiver in position for a top-10 fantasy finish at his position. John Brown played on 92% of the @AZCardinals snaps and handled 35% of the targets. Brown should have a massive week against a sub-par Jets secondary. The 72-yard touchdown that New York let up to Sammie Coates in Week 5 was the fifth score the Jets allowed on a touchdown pass over 20 air yards, a league-high. The team gave up a 40-plus yard reception in every game this season. Brown is still one of the fastest receivers in the NFL, as he's crossed 20 MPH at max speed in all but one of his games this year. Larry Fitzgerald will continue to hold his role as the underneath pass-catcher, but look for the Cardinals and Carson Palmer to get Brown several deep shots against the exploitable secondary. Pressure has been more of an issue for Arizona this year, but the Jets don't rattle quarterbacks with regularity. Ben Roethlisberger has 2.5 seconds or more to throw on 17 of his 47 attempts on Sunday. John Brown should find the end zone on a long bomb for the first time this season. Vontae Davis is back for the Colts, and he's playing as well as ever. Since returning from injury, quarterbacks have targeted Davis on 18.6 percent of his coverage attempts, and he's allowed just 120 yards with a passer rating of just 73.5. One difference in Vontae Davis' play is his lack of plays in shadow coverage. Whether they are just taking it slow after an offseason injury or due to change in schematics, the Colts left Davis at right corner on 93 percent of his plays this season. If that plan comes to pass in Week 6, DeAndre Hopkins will square off against Davis with regularity. Hopkins takes 50 percent of his snaps at left wide receiver, more than any other spot. Fuller is in a favorable spot this week after two tough weeks out of his last three. The Colts do not have anyone outside of Davis that can match the quality of corners who shut him down on the Patriots or Vikings. Amari Cooper finally found the end zone in Week 5 after failing to hit pay dirt in all four of his first games. The former top-five pick scored on a 64-yard bomb thrown to him when lined up at right wide receiver. That's a big clue to unlocking his outlook for Week 6, as well. The Chiefs big-time corner Marcus Peters primarily sticks at left cornerback and does not shadow top wide receivers. Cooper takes 54 percent of his snaps at left wide receiver, where he'll square off with Phillip Gaines. The other Chiefs cornerbacks simply do not have the same shutdown prowess of Peters, and Antonio Brown (94 percent) and DeAndre Hopkins (63 percent) got the vast majority of their yards when lined up at left wide receiver. Cooper has the potential for yet another big week when the Chiefs come to Oakland on Sunday afternoon. Whereas Cooper will avoid Marcus Peters, Crabtree should face him on about 50 percent of his snaps. Crabtree moves around enough that he won't see Peters all day. The veteran receiver takes 24 percent of his snaps in the slot, as well. However, if you're projecting one for a big day, it should be Cooper from the left wide receiver position.